William Shakespeare and Marcus Aurelius (the great stoic philosopher and emperor) have more in common than you might think. They share a recorded birth-date, with Shakespeare baptized on 26 April 1564, and Marcus Aurelius born on 26 April 121 (Shakespeare’s actual birth date remains unknown, although he was baptised on 26 April 1564. His birth is traditionally observed and celebrated on 23 April, Saint George’s Day). But aside from their birth month (and a gap of over a thousand years), what links these two venerated writers? Shakespeare’s plays are a famed source of creative and dramatic inspiration, but are also mined for their astoundingly insightful commentary on human nature. In a similar fashion, Marcus Aurelius is best remembered for his Meditations, a set of pithy aphorisms on Stoic philosophy and guidance on life. “Remind yourself that it is not the future or what has passed that afflicts you, but always the present” (Book 8, 36). In this important meditation, Marcus Aurelius reminds us that we can’t change what’s already happened, and are equally incapable of predicting the future. It’s a method of avoiding unnecessary distress caused by “picturing your life as a whole,” assembling the “varied troubles which have come to you in the past and will come again in the future.” Paulina, the faithful friend of Queen Hermione in The Winter’s Tale would certainly agree with this. In true Stoic fashion, she apologizes for condemning King Leontes, whose insane jealousy caused the death of their beloved Queen: “What’s gone and what’s past help should be past grief” (The Winter’s Tale, 3.2). “Marcus Aurelius Antoninus Augustus’” from the Louvre Museum, photographed by Marie-Lan Nguyen. Public Domain via Wikimedia Commons. “All disturbances arise solely from the opinions within us” (Book 4, 3). It is a key tenet of Stoic philosophy that external situations aren’t important, but it’s how you react to them. If someone has insulted you, instead of giving in to destructive emotions, rely on rationality and inner calm. Likewise, Othello agrees that if a wronged person can take his losses with grace, then he will be all the richer for it: “The robbed that smiles steals something from the thief” (Othello, 1.3). “As if you had died and your life had extended only to this present moment, use the surplus that is left to you to live from this time onward according to nature” (Book 7, 56). “I wasted time, and now doth time waste me” (Richard II, 5.5). Given the limited time available, what should we be doing? Marcus Aurelius is very clear on this, stating multiple times that our purpose as social, rational creatures is to help our fellow humans: “Refer your action to no other end than the common good” (Book 12, 20). Concurrently, the characters advocating goodness, mercy, and love are rife throughout the Shakespearean canon.This is perhaps most aptly summarized by the Countess in All’s Well That Ends Well: “Love all, trust a few, do wrong to none” (All’s Well That Ends Well, 1.1). 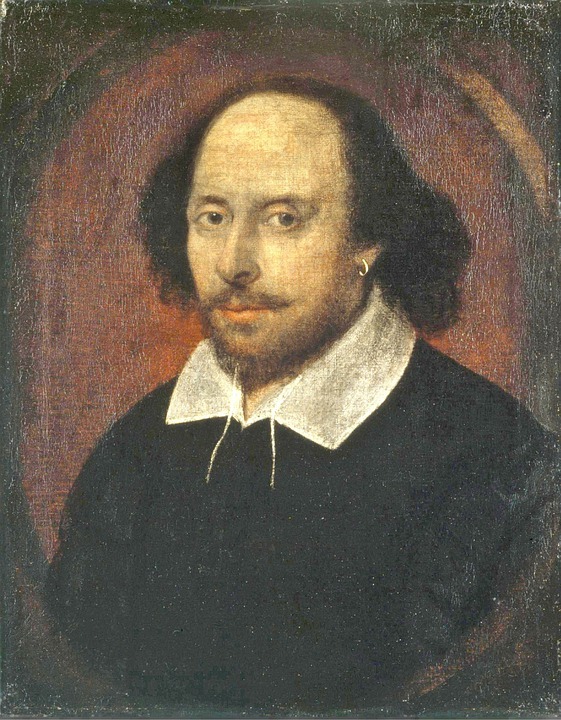 “Shakespeare, Poet” by WikiImages. CC0 Public Domain via Pixabay. 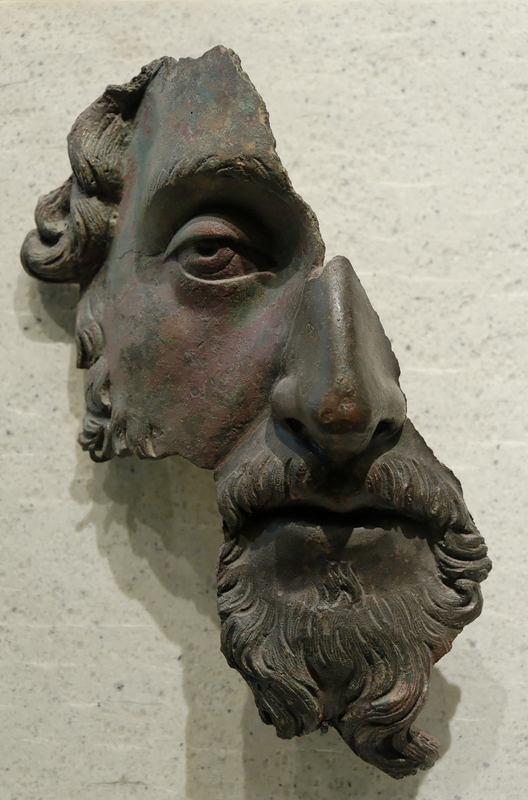 Marcus Aurelius states that the only real tragedy is not being true to yourself. What others think of you is of no importance, but how you act and how you think are the only things of intrinsic value. He ponders on the significance of adversity: “If something does not make a person worse in himself, neither does it make his life worse, nor does it harm him without or within” (Book 4, 8). Shakespeare’s characters are no strangers to this maxim. Indeed, Othello reminds Cassio that external praise (which is easily won or lost) is of little significance—it’s his own judgement that matters: “Reputation is an idle and most false imposition, oft got without merit and lost without deserving. You have lost no reputation at all unless you repute yourself such a loser” (Othello, 2.3). Shakespeare and Marcus Aurelius are of one mind when it comes to the age old saying that “less is more.” We should focus on doing one thing well and thoughtfully, rather than rushing many things at once: “Do little, if you want contentment of mind” (Book 4, 24). And as Friar Laurence fatedly chides Romeo: “Wisely and slow, they stumble that run fast” (Romeo and Juliet, 2.2). Can you think of any more Shakespearean Stoicism that we’ve missed? Featured image credit: “The Storm, Shakespeare” by chaos07. CC0 Public Domain via Pixabay. This blog was written by the Oxford Scholarly Editions Online marketing team. 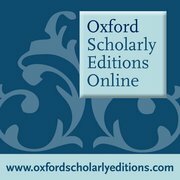 With Oxford Scholarly Editions Online you can discover a rich collection of primary material that ranges across a wide variety of subject areas, from philosophy, literature, and theology, to economics, linguistics, and medicine. Overseen by a prestigious editorial board of prominent academics, led by Editor-in-Chief Michael F. Suarez, S.J., this resource currently provides access to material written between 1485 and 1901, plus Classical Latin poetry, prose, and drama. These parallels are certainly enjoyable to read. What is even more interesting is to what extent Shakespeare consciously used Stoic doctrines in his plays. Scholars know something of his knowledge and interest in the Stoic philosopher/playwright Seneca. But one wants to know more about Shakespeare’s competence in Latin. Or were there translations/chapbooks he had access to? Love it, very interesting. I would like to read more. Thanks. I love this reading exellent and I repeat reading this story of shakespear by knewing knowledge and lessons. I agree that the inside world of any individual has more value if he or she uses the true rationale. I actually just wrote a paper on the subject of Shakespeare and Stoic philosophy in “King Lear”. Can you please suggest a possible publisher or CFP? Thank you. Valuable lessons and insights about life that are immune to the ravages of time. Relevant then, relevant now and will be relevant to generations yet unborn. My observations are based on comparisons between Aurelius’s “Meditations” (M) and Shakespeare’s “Hamlet: Prince of Denmark” (H).